For a few days only the Revision Division showroom at The RE Store in Bellingham will exhibit a bench that soon will be installed at Village Books in Fairhaven. It will serve as the reading bench in the alcove of the children’s book section. Made from the head board of a queen size bed as back and with more bed, table and stair parts for the seat and understructure it forms the base for imaginative mind travel for readers of all ages. Vintage lettering, numbers, cut-outs, building blocks and surveyor’s measuring poles make up the detailing. It was custom ordered by Paul & Kelly of Village Books and will celebrate the partnership between our two organizations. An article and picture in the spring issue of the Chuckanut Reader will follow. Come, check it out at The RE Store in Bellingham, or see it at Village Books after it is installed there early February. 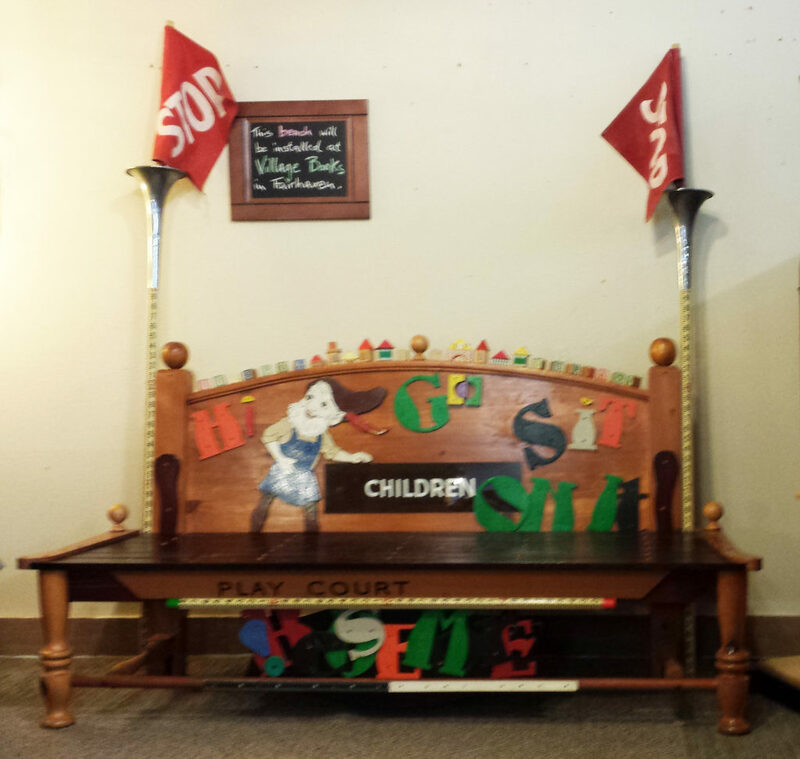 Be a reader, be a re-reader – read it on a re-purposed bench!